Focus French Issue. Panel shown here: Pencil art by Douglas Hebert. Colors by Paul Mounts. Guess what? 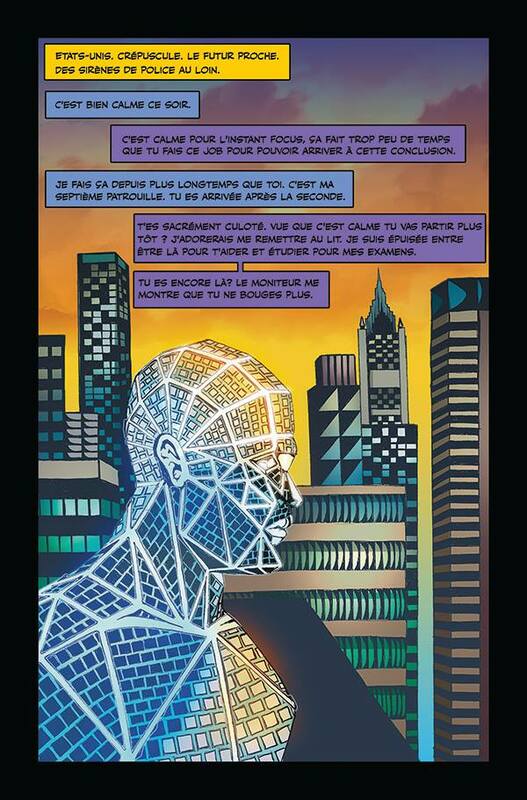 The French issue of Focus Comic which features an autistic super hero is in production! Thank you Pauline Lysiak for interpreting the comic to entertain French readers and remove the stigma associated with autism. French kids with and without autism will love this comic. And guess what?! The French issue will feature new cover art by Douglas Hebert and legendary #spiderman artist Paul Mounts. The creator of Focus (Social Cultural Anthropologist Yvonne Wan) would like to thank everyone who continue to support this social cause project that is giving autistic kids and young adults hope. Special thanks to our goodwill ambassador Tony Todd; our interpretors, and our contributing artists: Douglas A Hebert; Yvonne Wan, Francisco Javier Rodriguez, Jenn Corella, Tabidi Elkhalil, Paul Mounts, Luis Guerrero, Kevin Anthony De Castro, Malekith George, Ashler Bate, Jim Boswell, Steve Canon, Sarah Christina, Ilaria Mercoledi Lapà. Thank you to everyone for believing in this project and supporting us with this journey.